German designer Oliver Schmidt creates beautiful rings inspired by knots and their endless winding, made from stainless steel and gold, pure or emblellished with diamonds. Frozen in metal, they symbolize eternal unity and can never be untied. 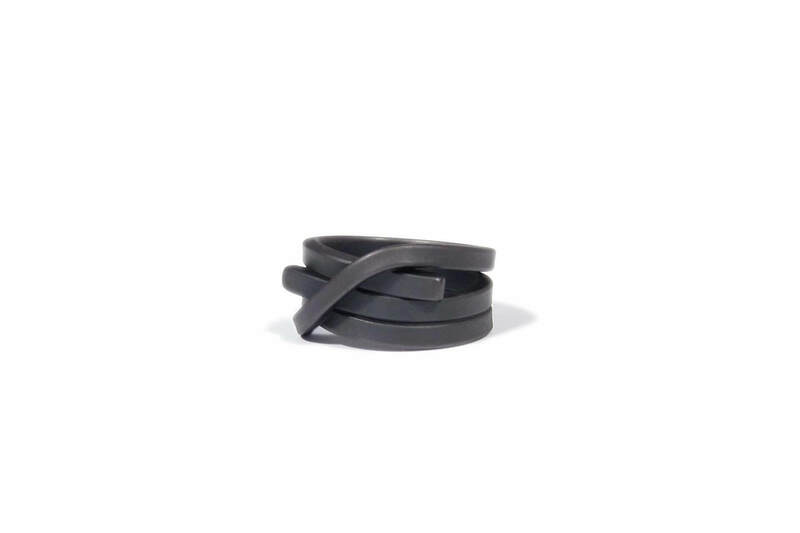 Stainless steel ring with a black coating.